Golden HUBBARD: Grey blue Bright orange skinned version of blue hubbard with same great qualities, bright orange flesh. 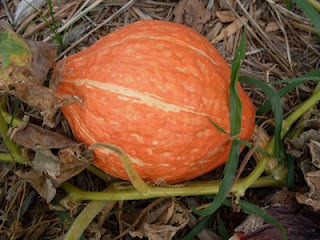 Large teardrop shaped squash with hard skin so is a long storage type squash. 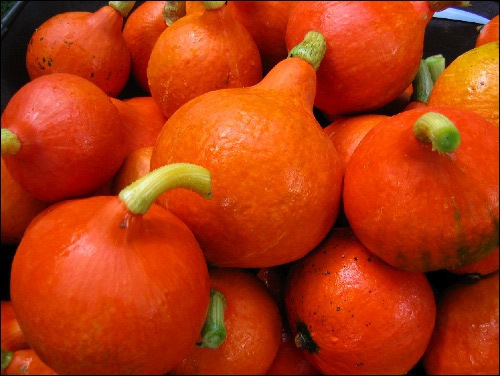 Orange flesh with a nutty flavour, great roasted or pureed.